Taking a break from work, from school, or from your day to day routine is needed once in awhile in order to keep you healthy physically and emotionally. But obviously, you would want your vacation to be really enjoyable and relaxing. To help you decide, below are some of the top destinations around the world to make your trip a sweet escape. Disney World, Sea World, and Universal Orlando Resort are the famous attractions in Florida. Kids are not the only ones going to enjoy here. This is evident in the visitors who flock here especially during summer. The sparkling lights, magnificent architectures, entertaining shows, addicting casinos, and all the fun that Vegas bring make one keep on coming back. Love the beach? This tropical island in the Caribbean is perfect for you. The beaches and resorts will surely relax you and help you forget the city life. You can also see astonishing Dutch royal architecture in the capital city, Oranjestad. Another magnificent island with famous vacation spots like Oahu and Maui that will surely make you want to stay here forever. You can witness and experience the glorious scenery, culture, nightlife, and adventurous activities. 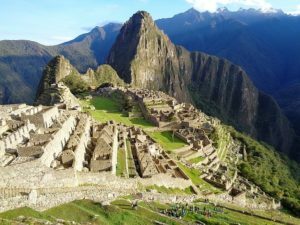 If you love nature and ancient civilization, Machu Picchu in Peru is the excellent place for you. The Inca temples and villages should be visited as these will surely captivate your heart. Machu Picchu is definitely a must if you visit Peru. The outstanding culture and architecture make travelers, who have been here, keep on coming back. Usually, Paris is the first stop of visitors because this is the hub for famous high-end designers. Remember, for some, shopping can really be a therapy in order to relax. On the other hand, other cities around will definitely mesmerize you as well. By sailing to the ports of Crete, Rhodes, Mykonos, and Santorini, you will surely be relaxed and amazed. You will certainly enjoy the marvelous beaches in Greek Islands. Also, discover the old Greek buildings, ruins and antiques, which are truly a historical treasure. One of the most well-known vacation spots in Asia is Thailand. The calm and marvelous beaches attract even the Westerns. Their glorious culture and history leaves a lasting impression to all tourists. 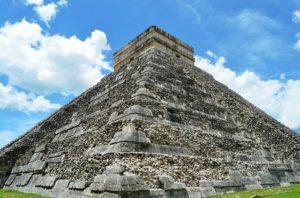 Another country with a very interesting history and scenery is Mexico. The splendid beaches, wild nightlife, and delicious food will surely be unforgettable. The famous Swiss Alps is an ideal place for hiking escapade. You can take the Haute Route to catch a sight of the largest mountain in Western Europe, the Matterhorn. Visiting Switzerland for sight-seeing and for adventurous activities will definitely not disappoint you.